You’d probably be amazed at the number of people out there who have a VW Bus story in their past. 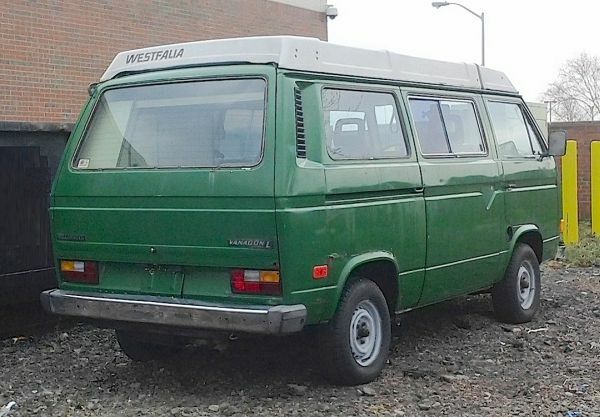 I never owned one, but I do have a story — but it took place way before this 1983(ish) Vanagon L Westfalia camper ever hit the streets. This was the third generation of the Type 2 bus, still with the familiar flat front and an air-cooled engine under the floor in the back — although a new water-cooled engine would shortly make its debut. This one is parked in Cambria, waiting for the next Grateful Dead concert tour to start. Jim Corbran, RRofWNY …and check out our Facebook page: Non-American Classic Cars The post RealRides of WNY appeared first on Buffalo Cars.